EPA, the most dangerous thing on earth. Don’t forget that we live in the cleanest environment in over a century, even according to EPA’s own data. We are not fouling our nest. At this point, we are just harming the poorest among us. Stop the EPA. A friend posted on Facebook about OpenWorm. Cool. It is not a new concept, but apparently we are finally doing it. Start a model at the most basic level, and work up. Not a lot there, but it is the source; it’s where you go. It mostly says they are trying to recreate life digitally. That is, we will be able to run life simulations in the computer, and more importantly, we will be able to make robots that are as autonomous as the lifeforms they replicate. Scary, sure, but cool. Remember, what can be done will be done. Let’s make sure we do it right. Fundamentally, our models will never be very good until they are built from the base up. So this is a good and necessary start. Further, we will never well model the weather and climate. It is too complex to start at the bottom, too many factors to track and calculate. Even if we had sufficient computational capacity, we just couldn’t replicate the entire system well enough to be better than the approximates we already use, and we need to remember that such models are inadequate and always will be. Sometimes we must treat symptoms, but the cure comes by identifying and treating the problem. One of my special “thank-yous” this year has to be for my husband’s recovery from a heart attack and triple by-pass surgery in August. The heart attack was totally unexpected because he seemed very healthy except for some back problems and a few other minor complaints. Besides that, since he had a pacemaker put in several years ago, he has been under the care of a cardiologist who did regular exams including stress tests. He always passed with flying colors, and the doctor commented that he hoped he would be in as good a shape when he got to my husband’s age (72, in case you’re wondering). So it was quite a shock when the doctor came out of the heart cath lab on that August day to tell us that my husband was literally a ticking time bomb and needed immediate surgery. With Thanksgiving coming up, I thought I’d write about something other than science. A few weekends ago, I went by kayak across Tomales Bay from Marshall to Lairds Landing, where I lived for nine months or so when I was about twenty-five with a wonderful friend and his lady and their son. It had been fifteen years since I was last there, I’d gone for the wake not long after my friend died. I went on this trip with a long-time shipmate of mine, a gifted artist, builder, and blacksmith. Now, there are lots of words for the gradations of friendship—friends, acquaintances, work-mates, BFFs, room-mates, colleagues, and the like. “Shipmate” means more than any of those to me. It means someone who I’ve been through some storms with at sea. BioLogos has reposted this article by Denis Alexander which I must have missed last year. Dr. Alexander has several articles at BioLogos, and in this one he discusses why religion and philosophy are so important to science and facts. While our genetics determine much about us, our genes do NOT determine who we are. Our choices are much more important to who we are and who we become. We are free moral agents, and we always have the ability to choose to do what is right. A (free) man is as the shadow of god, the slave is as the shadow of a (free) man; but the king, he is like unto the (very) image of god. That understanding is very significant. The ancient perception is still among us. We really do not see ourselves as truly free. We do not see ourselves created in the image of God, but in some shadow form that exists mostly as a slave. No, it is not just the king, not just the emperor, not even the President. It is all of you. We are all created like God, knowing both good and evil. Each, always, with the ability to do good, or to not. Each with the ability to realize our own destiny. Then God said, “Let us make adam [humankind] in our image, in our likeness, and let them rule over the fish of the sea and the birds of the air, over the livestock, over all the earth, and over all the creatures that move along the ground.” So God created adam in his own image, in the image of God he created him; male and female he created them. [Genesis 1:26-27]. In its historical context, the implications were revolutionary: the kingly and priestly male roles previously allocated to the privileged few by a pantheon of gods were now being delegated instead by the one creator God to the whole of humanity, male and female. In a stroke the entire ruling and priestly structure of Mesopotamian society was delegitimized. The Imago Dei was being democratized and it was now humankind who were to be the significant players in the arena of earthly life, the mandate to rule underlying their new responsibilities. Above all, humanity was set free by the one true God to determine their own destiny, no longer under the yoke of all-powerful dictators, nor under the baleful astrological control of the moon and stars. “It’s in his or her DNA” is a new phrase becoming increasingly embedded in our language, referring to something that cannot apparently be changed. 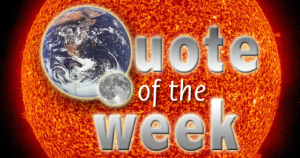 On Sept. 8, 2012, Brad Pitt was quoted by the Daily Mail as saying that “America is a country founded on guns. It’s in our DNA. It’s very strange but I feel better having a gun.” No it’s not in our DNA, Mr. Pitt, either literally or metaphorically. People have choices — they are the prisoners neither of their genetics, nor of their physiology, nor indeed of their environments. Human beings made in the image of God are free to chart their own destiny in a way that preserves human value and dignity. On that we can leave the last word to Abraham Lincoln: “…nothing stamped with the Divine image and likeness was sent into the world to be trodden on, and degraded, and imbruted by its fellows” (Aug. 17, 1858). It really isn’t that hard. We are each free. I stand before God the same as all others. I answer for myself, myself alone, to Him, to Him alone. If we recognize each person individually, if we see each of us “stamped with the Divine image and likeness”, then we cannot treat each other wrongly. We cannot try to rule over or coerce. We will walk in freedom and responsibility, and we will acknowledge, “Life is tough, but it’s tougher if you’re stupid.” If we remember that we all suffer and we all die young, it is a little easier to keep things in perspective. Just remember, He hath shewed thee, O man, what is good; and what doth the LORD require of thee, but to do justly, and to love mercy, and to walk humbly with thy God? Perceptions are rarely accurate. Just for reference. This reference provides a bit of clarification regarding life in the Americas before the Europeans came. It mostly says the native Americans suffered from urbanization. This paper has more information. Lynas is about as greenie as people get. His point is spot on. This is what the President agreed to for China. News from Enerdata that China has published a new Energy Development Strategy Action Plan (2014-2020), presumably following on from the US-China agreement last week. For me, there is no clearer example of the fact that windmills are a failure than T. Boone Pickens, who put his money where his mouth is, and he changed his mind. http://en.wikipedia.org/wiki/Pickens_Plan He says he lost two billion dollars on it. http://www.forbes.com/sites/christopherhelman/2014/03/31/t-boone-reborn/ When it hurts, you change your mind. Sooner or later, the level of pain with windmills will be too high for society to bare. Then we will abandon them again, and someone will have to deal with the mess. Another of Vesta’s leading “lights” …. Here’s a great little take on the great wind power fraud from the US. 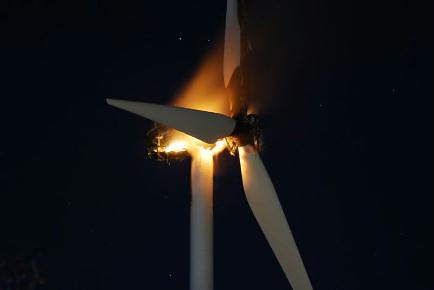 Editor note: This is an updated version of a previous post at MasterResource: “Wind Spin: Misdirection and Fluff by a Taxpayer-enabled Industry” which was itself an update of “Fifteen Bad Things About Wind Energy, and Three Reasons Why,” one of the two most read posts in the history of MasterResource. The only point, volcanoes are not nearly as important as we assume them to be. The Pointman, across the Atlantic, knows US politics better than we do. The mid-term elections in America are over and the big winner is the Republican party who’ve taken control of both houses of congress. There are a number of conclusions to be drawn from the results. The big one is that once you get past the media’s continuing love affair with the concept of a Barack Obama, the majority of Americans are deeply disillusioned with him. The perception and the reality is that he and his administration don’t actually do anything. They’re like rabbits paralysed in the headlights of whatever crisis is currently bearing down on them. Mr. Budline, got anything we more technical information? I see a link in the comments to a presentation of the good doctor’s. I will look into that. Thanks for the good interview. I enjoyed, and I’m hoping there is more to come. 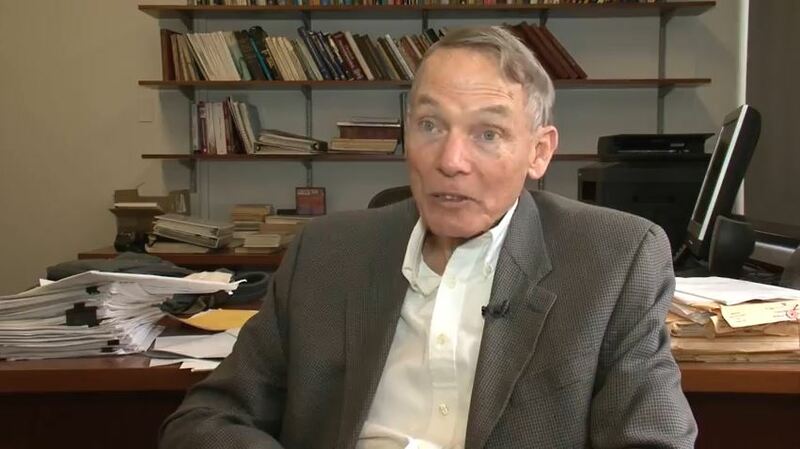 This past Tuesday I took my camera to Princeton University to conduct an interview with physicist Will Happer, whose work you probably know. This is a 4-minute video I put together after that interview, which I hope you’ll find interesting. I should be clear that no money or anything else exchanged hands, although Dr. Happer did buy me a cup of coffee.